The first leg of our Ilocos tour was Pagudpud. We took the Florida Bus Transport from Cubao, Quezon City which wasn’t bad at all. They were all pink and the one we took had a toilet inside. Fare cost 700 pesos each. We left at exactly 8:00pm. We took the night trip as it was going to be a long ride. As we were nearing Pagudpud, I saw the windmills from the road. It was exciting to see it as it is a very popular tourist spot in the North. The bus driver dropped us near the place we were staying at around 6:30am. 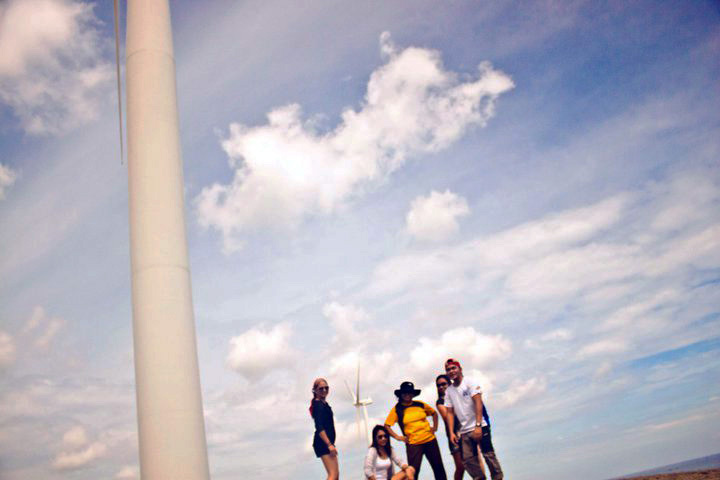 Not in Pagudpud, the Bangui Windmills are found in Bangui, Ilocos Norte. These are wind turbines facing the South China Sea where it produces renewable energy sources and it helps reduce greenhouse gases that causes global warming. The windmills were supplied in the 90’s by a Dutch power firm and were patterned similar to those in Denmark. 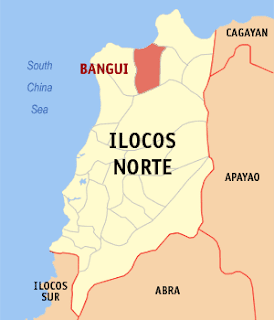 This was initiated by Governor Bongbong Marcos when he reached out to NAPOCOR (National Power Corporation) on the poor quality of power at the Ilocos area. They stand on a single row on-shore and all facing the sea. It first started with 15 turbines and just recently added 5 more. It would have been lovely to get to all 20 but the sun was smiling as we started out around 9ish. Our guide brought us to the View Deck where we can see all turbines from afar. Only to find out we had a good view from the place we were staying at which is beach front. hi, where is this place you stayed at that had a view of the bangui windmills?